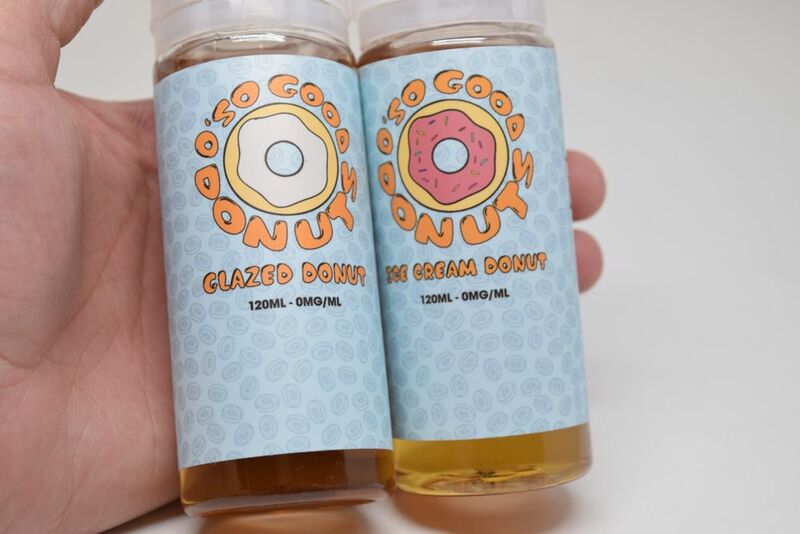 Donuts are among the worst-represented treats in the vaping game right now, but one Los Angeles e-liquid maker is trying to change that. As its name suggests, DRPN Donuts specializes in donut flavors, and even dough (pun intended) their lineup currently only numbers three juices, they are all among the best I’ve ever tried. I had never heard about DRPN (drippin’) Donuts before ECC 2015, in August last year. Sadly I couldn’t attend the convention in Pomona, but I remember people taking to forums to praise these cool new donut flavors showcased there. They were among the biggest hits to come out of last year’s event, and as a huge fan of donuts and baked goods I just knew I had to get my hands on this line. Sadly, it took longer than I would of liked, as getting it shipped from the US to Eastern Europe is rather pricy, but I finally found it in stock at a UK vendor about a month ago and immediately took the plunge. Shipping was not still not cheap, but after trying all three flavors, I can say that I have no regrets. As soon as I laid eyes on the packaging, I knew there was something special about DRPN Donuts. Every 30 ml bottle of juice comes individually packed in a neatly-designed cardboard box with the DRPN logo and a large donut on the front, as well as all the necessary warnings, ingredients, PG/VG ratio, flavor description and presentation of the other available donut flavors on the back. It definitely makes a great first impression and speaks loads about the work this company puts into their products. DRPN Donuts flavors only come in large 30 ml dropper bottles with a sealed cap that pops the first time you twist it, letting you know that it has not been tampered with. Apart from the cleanly designed label, one particular detail I noticed is that these guys actually put a short description of the flavor on the bottle. 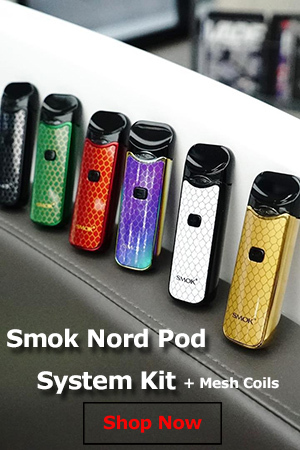 That may not sound very important, but a lot of e-liquid companies like to choose all kinds of pompous names for their juices that have absolutely no connection to the flavor, leaving you wondering what the hell is in them. Not DRPN Donuts though, a quick browse of the label lets you know exactly what it should taste like. While most premium e-liquids these days are either Max VG or really high VG, DRPN Donuts went for a more balanced 60VG/40VG ratio. I don’t really know how I feel about that, because while the higher level of PG brings out the complex flavors, it also amplifies the throat hit to the point where the 6 mg/ml juices feel a bit harsher than I’d like. You can, of course, go for a lower nicotine concentration, but that still leaves the issue of allergy to propylene glycol that a fair number of vapers are confronted with. It’s not a problem for me, but I’m sure DRPN Donuts would have even more customers if they got rid of the PG. I have vaped all three available DRPN Donuts flavors both in a SMOK TFV4 Mini tank and in my Tugboat and Plum Veil RDAs (dual clapton coils Ω0.25 resistance), both on a regulated X Cube 2 TC mod. Vapor production was a lot better than I expected from a 40% PG juice, I would even go as far as to say it was comparable to what I got from vaping MAX VG juices. The flavor on all of these was great in the SMOK tank, but it was simply to die for in the RDAs. So if you’re comfortable building your own coils and you want to do these e-liquids justice, vape them in a dripper, you won’t regret it. Bearclaw – They say you should save the best for last, but I loved this flavor so damn much that I just had to write about it first. 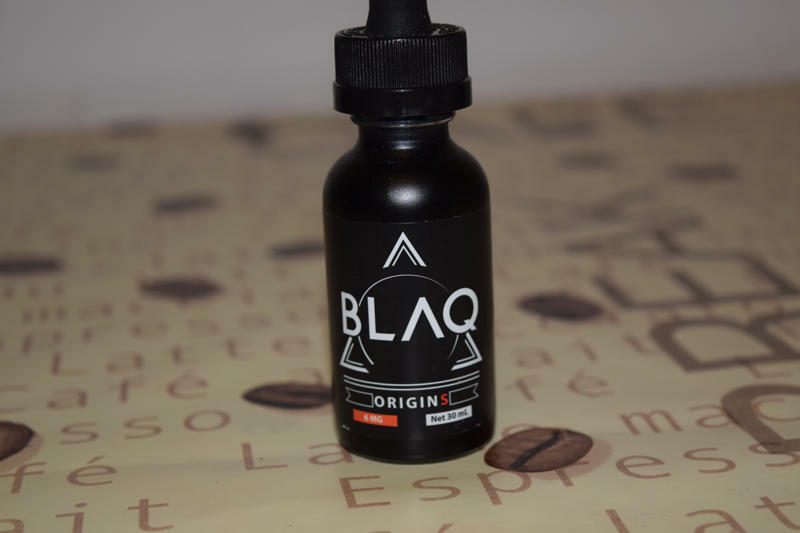 We don’t really have Bearclaw donuts, pastry or whatever you want to call it, where I live, but if it tastes anything like this e-liquid, I’m clearly missing out on a very delicious treat. According to the description on the bottle, this stuff should taste like ‘glazed cinnamon apple pastry’, and I have to say that it’s spot on. I’m not a big fan of cinnamon vapes, mainly because most such juices end up being too spicy for my taste, with the cinnamon almost muting any other flavors. That’s not the case with Bearclaw. In this juice, the cinnamon acts only as a mild compliment to the sweet apple and doughy flavors, which is the way condiments should work. The apple is not the crunchy, juicy flavor used in fruity e-liquids, but rather a sweet apple filling, just like the one they use in pastry products. For me, the apple was strongest on the inhale, but you can definitely taste it on the exhale, as well, only with a hint of cinnamon, just enough to make it even tastier. Lastly, the thing that most impressed me about DRPN Donuts’ Bearclaw was the realistic doughy flavor that lingers in your mouth long after you exhale the vapor. I don’t know how they did it, but this juice leaves you feeling like you’ve actually just had an apple-filled donut or pastry. That’s insane. DRPN Donuts Bearclaw has become one of my favorite vapes, I would say it’s in my top three right now, and even if the other two flavors sucked, which they don’t, I would still recommend this e-liquid maker for this juice alone. It’s just too good. Blueberry – Not only am I big fan of donuts and baked goods in general, I also love berries, so it comes as no surprise that I’m crazy about DRPN Donuts’ Blueberry flavor. As I said, these guys nail the doughy flavor perfectly, and the blueberry taste in their blend has a surprisingly natural taste to it. It’s not that strong, in-you-face, artificial blueberry, but rather a subtle yet satisfying blueberry filling that goes great with the donut. If you’re on a diet, and get a craving for blueberry donuts, this stuff is a great alternative. Strawberry – This was my least favorite of all DRPN Donuts flavors, but I would still vape it over a lot of other premium e-liquids I’ve tried, that’s how amazing this line is. I say it’s my least favorite because of all three, Strawberry has the most subtle doughy flavor, and since that’s what really makes a donut-flavored e-liquid special, I didn’t like as much as the other two. That said, this stuff doesn’t taste bad, by any means. It’s a sweet strawberry frosting flavor with a glaze undertone that you can almost feel on your tongue, I just wish it tasted more like a donut. There’s definitely some doughiness to it, but the strawberry frosting is very dominant in this one, almost overpowering. I would still recommend it, but only after the other two stellar DRPN Donuts flavors. For a relatively new company in the e-liquid game, DRPN Donuts couldn’t have left me more impressed. 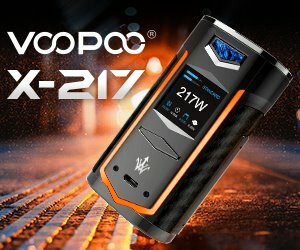 Their flavors are simply stellar, the presentation and packaging is impeccable, and at $21.99 per 30 ml, the pricing is inline with most premium e-liquid. For more info on DRPN Donuts, check out their cool website. At the very least, you’ll learn that donuts apparently go very well with beautiful women.